Midnight, the stars, and Pence: Did The Shining predict Trump’s win? Yesterday, Mike Pence got the House Republicans together to figure out how one of those darn “selfie sticks” work. The result was a selfie of unmitigated terror: a sea of old, pasty faces, like some sort of chorus of the damned, frozen and oblivious. 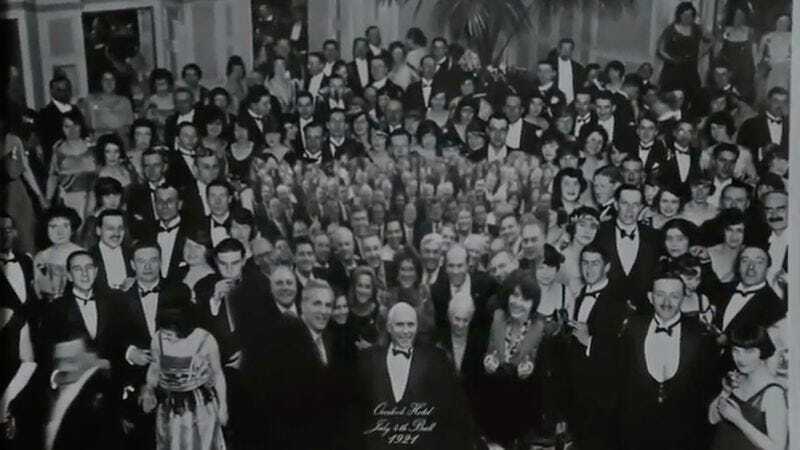 It immediately drew connections with Paul Ryan’s similarly forced selfie from earlier this year, and both were compared to another hellish image of the damned—the final shot of The Shining. A new video explores this connection more fully. The thesis: Did Stanley Kubrick predict the Trump/Pence win in The Shining? You decide. The video concludes with a fact more horrifying than anything in Kubrick’s classic: the fact that Mike Pence does not know how condoms work. It urges viewers to donate to Planned Parenthood.